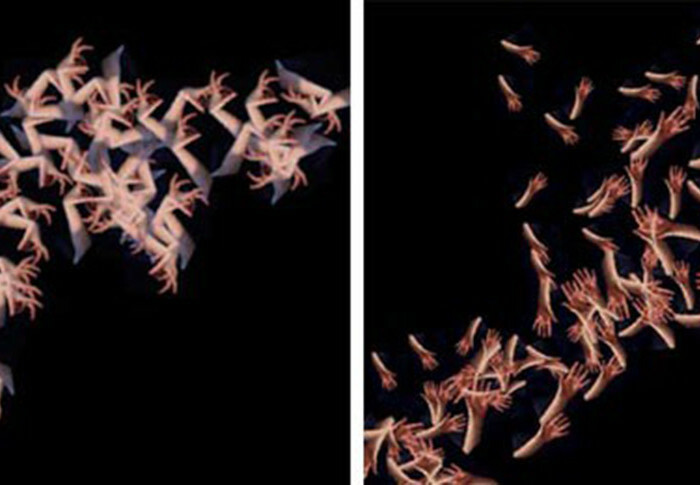 The audience members’ improvised hand gestures create developing recursive imagery: the spontaneous, improvised hand gesture of the audience, a performance in miniature, is amplified and multiplied into an evolving and organic image and sound environment. 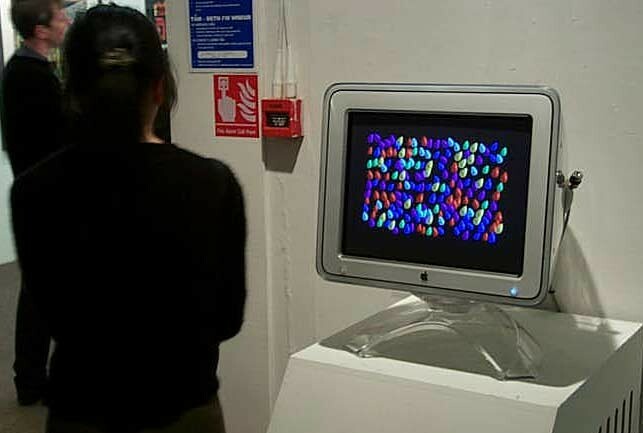 Strategy Game #1 is a complex system based on the simple objective of popping balloons, which while rewarding in itself, belies an intricate relationship of control and strategic gameplay between the viewer and the work. 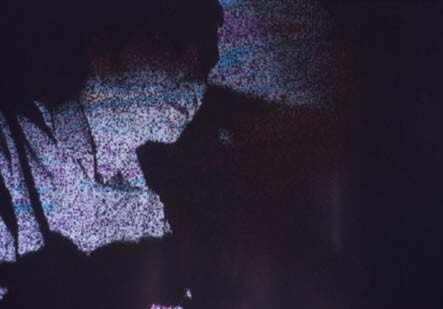 On seeing one’s image on the screen of the computer, overlayed with digital video footage collected from within the derelict rubber plant in Brynmawr, the viewer may react in a number of ways. 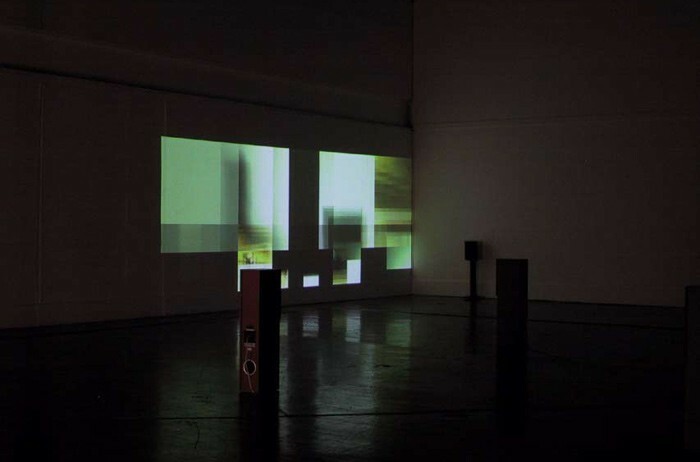 On entering the space, the viewer is confronted by a projection screen. 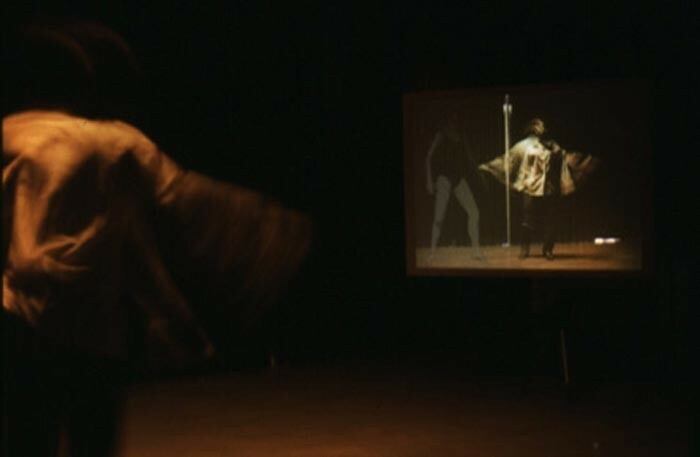 Visible on the screen is an image of the room and viewer, fed from a video camera near the base of the screen.